Stage Ai's mission is to put the CIIS vision into practice by helping participants build a more connected life. That means connecting with our hearts and bodies, connecting with our own depths and past, connecting with one another in community, and connecting with the cosmos that is our home. It also means connecting East and West in participatory events that bridge geography, culture, and ideas. The Stage Ai team weaves together the arts, movement, and various healing modalities to create firsthand experiences of integral living. In summer 2016 and 2017, Stage Ai held two years' of the Summer Blossom festival, organised series of lectures, salons, workshops in drama therapy, expressive arts, dance and movement, sound healing etc. 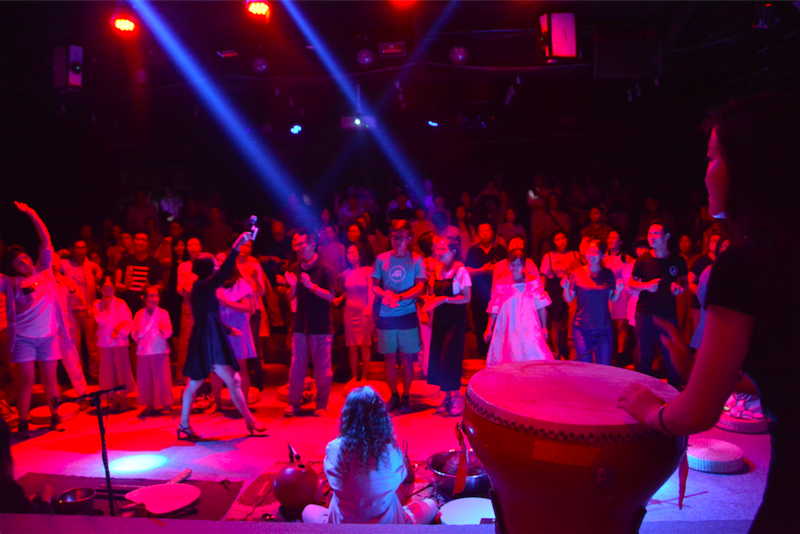 Through different forms of arts and healing modality including music, dance, somatic, astrology and cosmic work, “Summer Blossom” provided a first-hand experience of an integral living through a participatory worldview to hundreds of people including educators, enterprisers, artists, professionals, students and spiritual seekers from different circles of society in China. Embodied CIIS’s spirit as “creative, mindful and socially aware”, “Summer Blossom” was collaboratively created by a diverse team including teachers, healers and artists healers from China, America, Taiwan and Germany. “Summer Blossom ” is a pilot project that put into practice of a PCC prospect. The organizer Stage Ai is the first team in the history of CIIS that promoting spiritual work in China with an integrated, diverse and multidisciplinary team as such. “Stage Ai” commits to continue to promote an integral concept into daily life practice and building a conscious bridge between the East and the West.